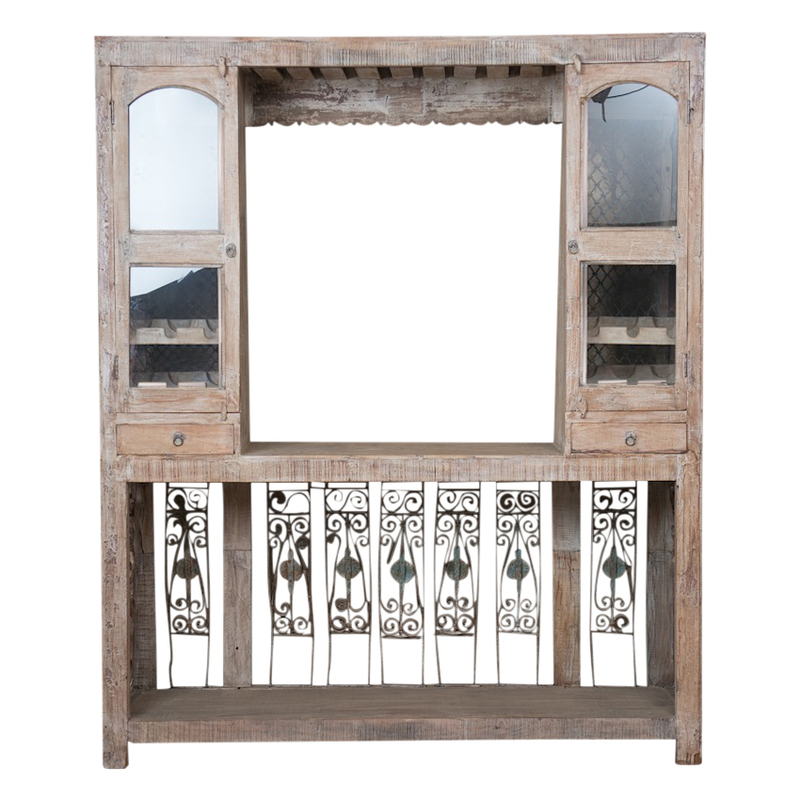 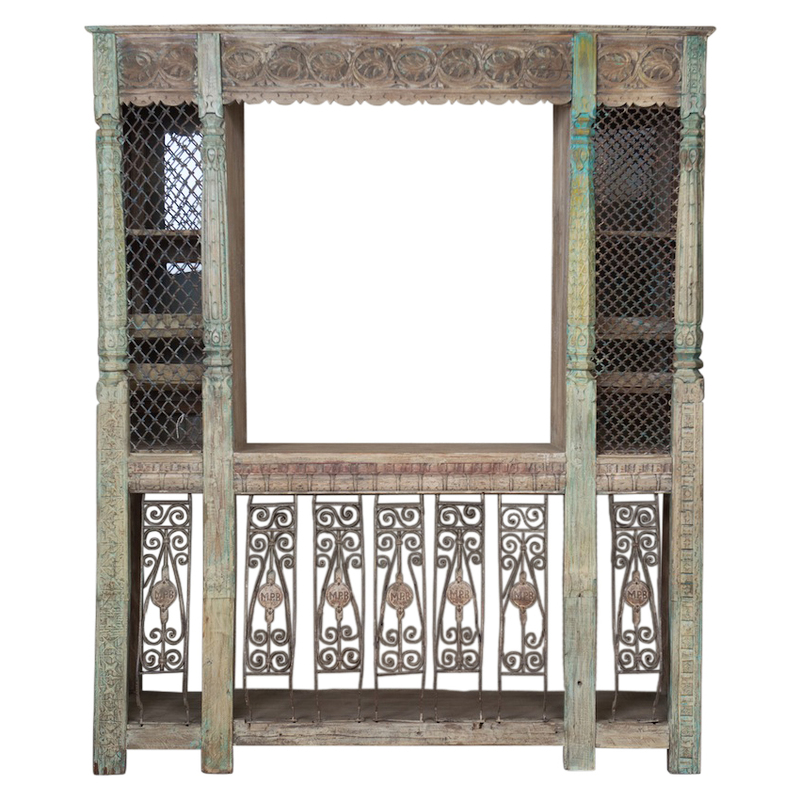 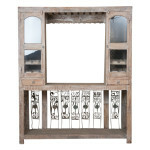 This ornate cabinet makes for an amazing back bar or display! 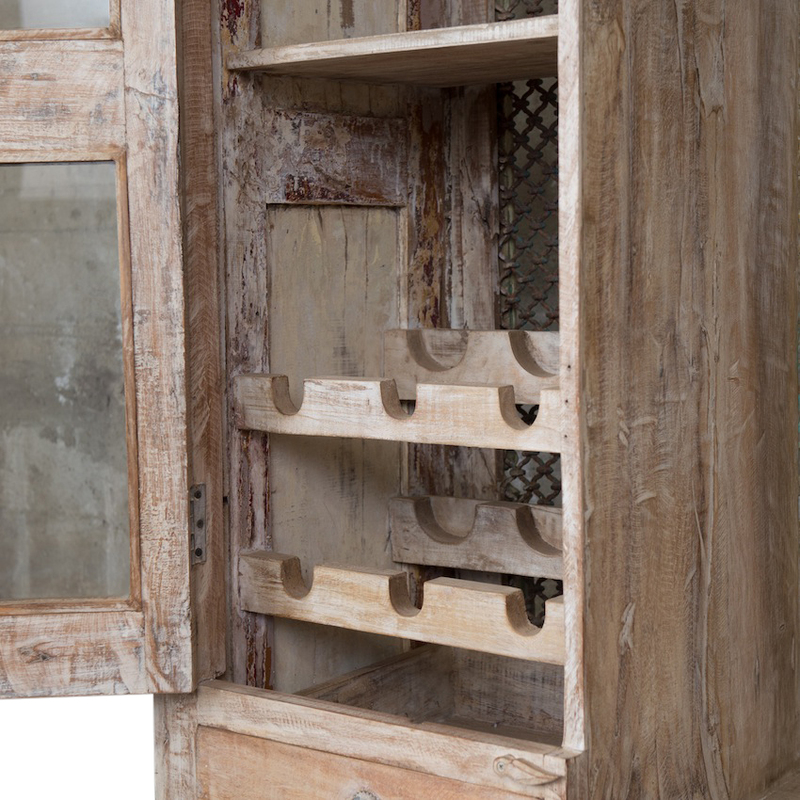 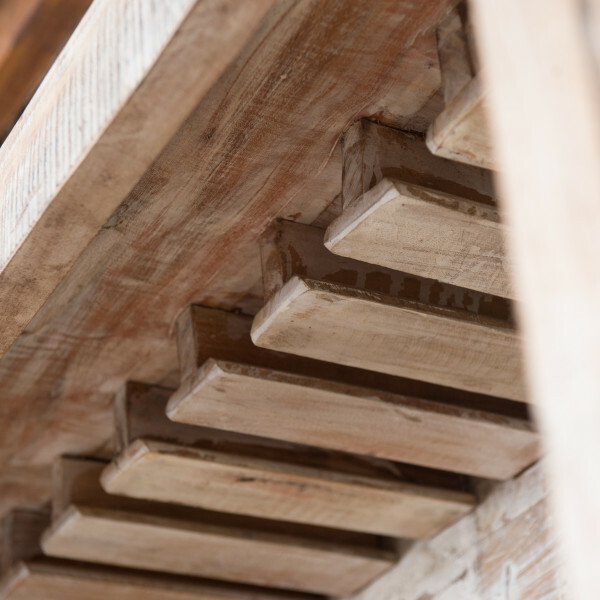 Complete with wine & glassware storage, this piece is both decorative and practical. 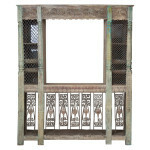 Chippy green paint, detailed carving and metal ornamentation adorns the flip side of this unique piece.